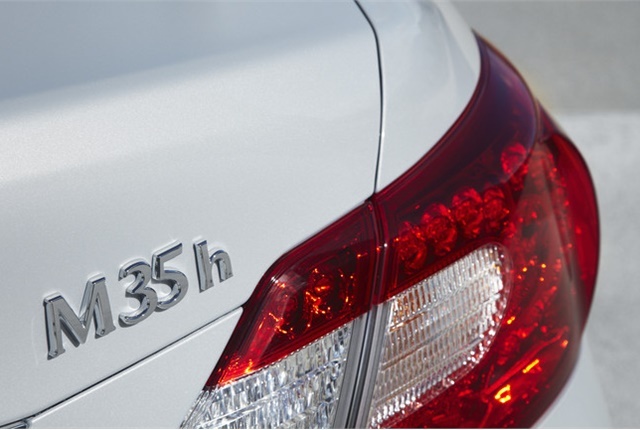 Nissan North America is recalling 1,140 2012-2013 model-year Infiniti M35 Hybrid sedans because a system overheating condition may cause the hybrid powertrain control module in these cars to shut off the engine, according to the National Highway Traffic Safety Administration. The recall covers sedans manufactured from March 23, 2010, to Sept. 9, 2013. Infiniti dealers will reprogram the hybrid control module, automatic transmission control unit, and inverter software — all free of charge. The recall will begin by Sept. 6, NHTSA said. Vehicle owners can reach Infiniti customer service at (800) 647-7261.